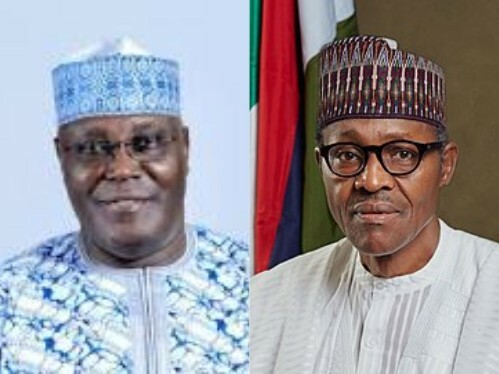 Nigerians in the diaspora under the platform of the Global Coalition for Security and Democracy in Nigeria (GCSDN) have rejected the outcome of the presidential election that saw President Muhammadu Buhari win a second term in office. 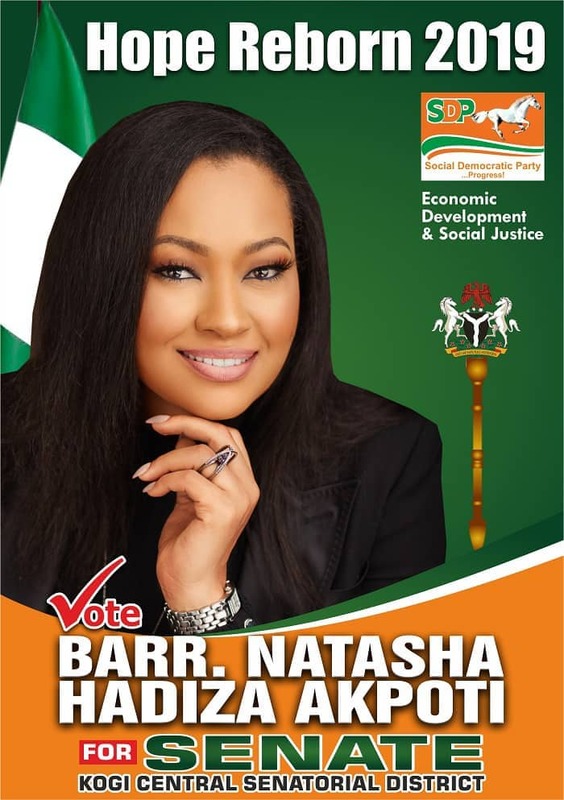 Building a cohesive society starts with delivering justice to all and protecting the interest of not just a few, but all in the composite unit. Justice is the adhesive which cements the foundations of attuned societies. And it is the scaffold on which national balance rests. 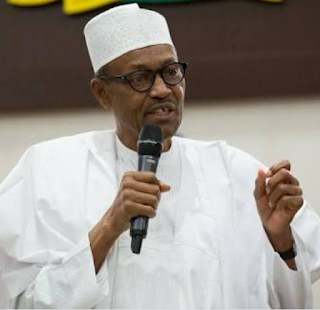 President Muhammadu Buhari has assured Nigerians today that this is his second term in office and he will work harder. 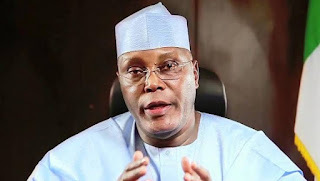 He said this when he received the leadership of the Arewa Consultative Forum (ACF), who paid him a congratulatory visit at the state house in Abuja. 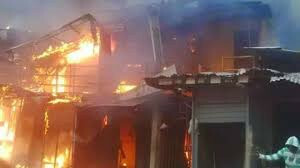 Four children of the same mother were burnt to death at their home in Animal Line by Dore Street, off Mciver Market in Warri, Delta State, on Tuesday night, March 5th. 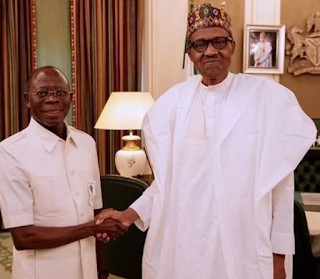 The senator representing Delta Central senatorial district, Ovie Omo-Agege, says President Muhammadu Buhari will determine the next Senate President. 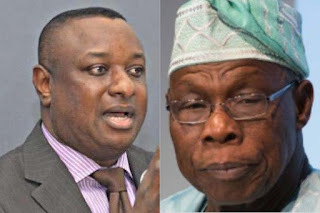 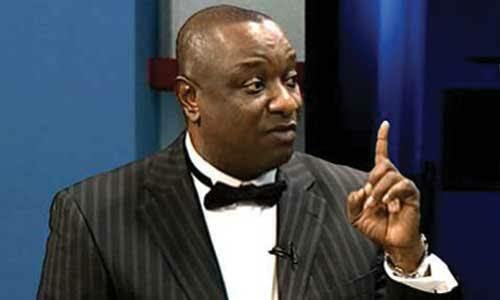 The Spokesman of the President Muhammadu Buhari Campaign Organisation, Festus Keyamo (SAN), has responded to former President Olusegun Obasanjo's coment that he would continue to criticise Buhari because he is his boss and he had held the position of President longer than anyone else. 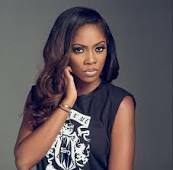 Mavin and Sony star, Tiwa Savage seems to be up to something as fans anticipate her next move. Celebrating President Muhammadu Buhari's victory at the just concluded 2019 presidential election, a dinner was held in his honor at the Presidential Conference Hall, State House in Abuja last night Saturday March 2nd. 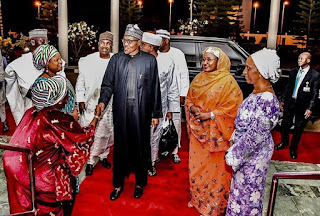 During a victory dinner organised for the All Progressives Congress Women and Youth Campaign Council at the Presidential Villa, Abuja yesterday Saturday, March 2nd, president Muhammadu Buhari who was re-elected on February 23rd presidential election vowed that only credible persons with proven character will be appointed into office in his second term. 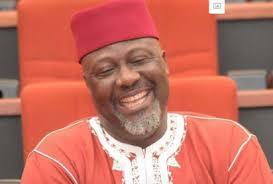 Senator Dino Melaye made this known today on Twitter page. 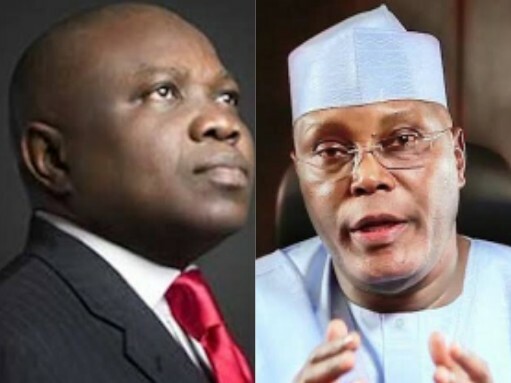 Outgoing governor of Lagos state, Akinwunmi Ambode has denied reports claiming he was working with the agents of Alhaji Atiku Abubakar, the PDP presidential candidate, to ensure that APC and its governorship candidate, Babajide Sanwo-Olu lose in the March 9th election. 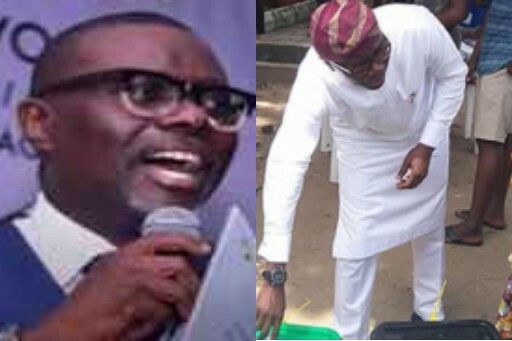 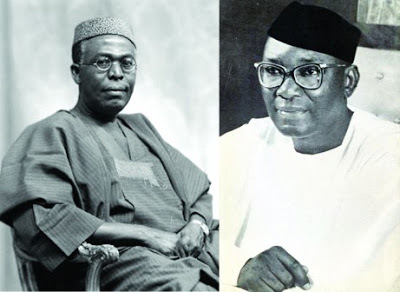 There were reports that the governor was using his close ally, Tokunbo Afikuyomi, to campaign agaisnt Sanwo-Olu and APC. 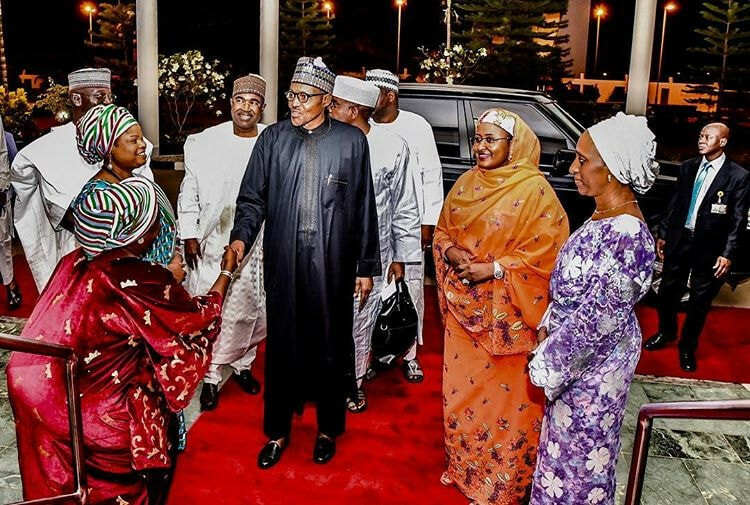 Fast rising Nigerian singer, Teniola Apata, popularly known as Teni the entertainer or Teni, has been criticized by some angry Nigerians for insulting a foreigner using her native language, Yoruba. 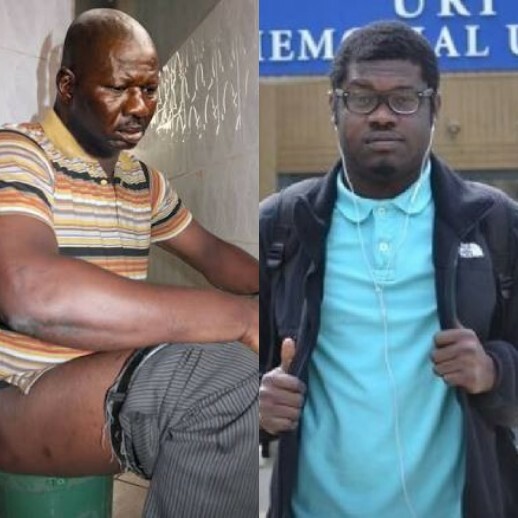 The video of some men beating their married sister has surfaced online. The video which has since gone viral, shows the men speaking in Yoruba and flogging their sister over allegations of cheating. Toke Makinwa's ex- husband baby mama, Anita Solomon has confirmed to a Lagos High Court that she didn't give him sexually transmitted disease as contained in the book, 'On Becoming' written by the OAP. 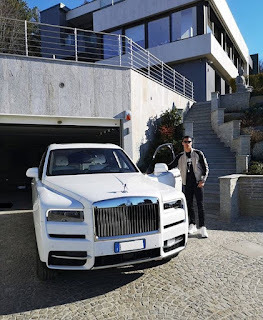 Portugese and Juventus striker, Cristiano Ronaldo has taken to his Instagram page to share the photo of his newly acquired Rolls Royce Cullinan. The luxury ride is said to have cost him the whopping sum of 400 thousand Euros. 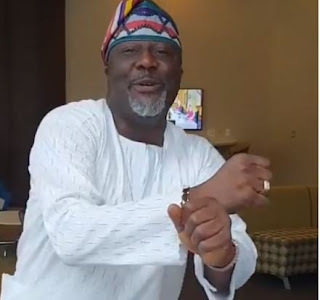 Dino Melaye who was re-elected on Saturday February 23, as the senator representing Kogi West senatorial district has dismissed the rumour that he was planning to leave the Peoples Democratic Party, (PDP) for the All Progressive Congress, (APC), saying “I remain in PDP, PDP is my home, PDP is my home. 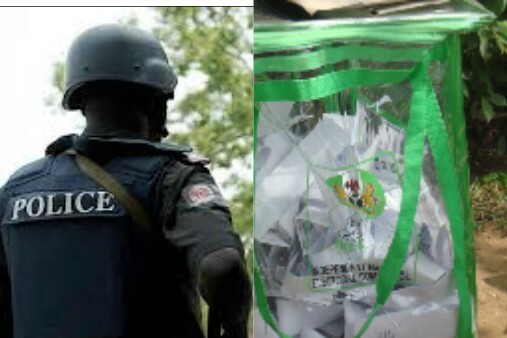 The Niger Police Command has arrested 10 suspects over alleged electoral offences during the Saturday, Feb. 23 Presidential and National Assembly elections in different of parts of the state. 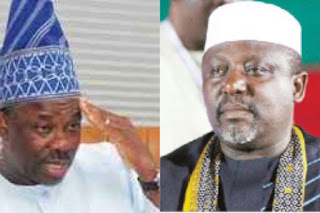 The National Working Committee (NWC) of the ruling All Progressives Congress (APC) has suspended Ogun State Governor, Ibikunle Amosu and Imo State Governor, Rochas Okorocha. 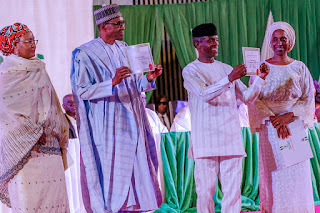 President Buhari and his VP, Yemi Osinbajo have officially recieved their certificates of return from INEC at an event which held at the International Conference center Abuja this afternoon. According to RRS officers who were immediately dispatched to the scene of the accident in Lagos today, no life was lost and no injury recorded. 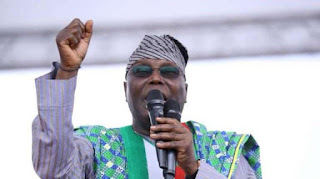 Peoples Democratic Party (PDP) candidate, Atiku Abubakar, has described the just-concluded presidential election as the worst held in the nation in the last 30 years. 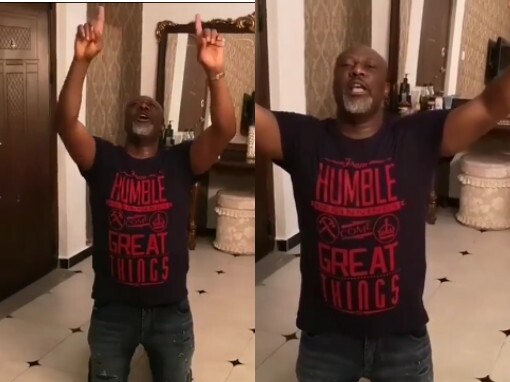 Senator Dino Melaye Praises God As He Returns Back To The Senate. Unlike the Senate Pressident, Bukola Saraki who lost to his counterpart, Dino Melaye won his Senatorial seat, Kogi West senatorial district to defeat All Progressives Congress (APC) candidate, Smart Adeyemi. R. Kelly who was charged with multiple charges of criminal sexual abuse has been released from jail after spending three days behind bars. 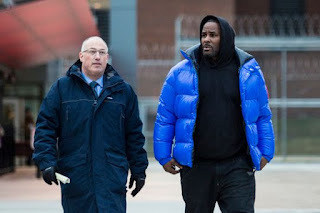 In addition the singer has posted the sum of $100,000 to effect his bail. PDP Presidential candidate Atiku Abubakar has won Oyo State, as officially declared by Independent National Electoral Commission, INEC in the 2019 presidential election. PDP Presidential candidate Atiku Abubakar has won Enugu State, as officially declared by Independent National Electoral Commission, INEC in the 2019 presidential election. 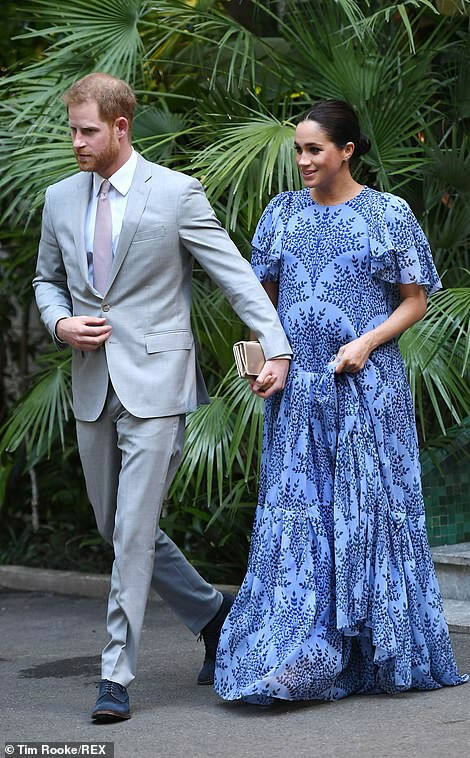 Expectant mom, Meghan Markle, who has been in Morocco on tour with her husband Prince Harry, stunned in a custom Carolina Herrera gown as she and Harry met with King Mohammed VI on the last night of their Morocco tour. 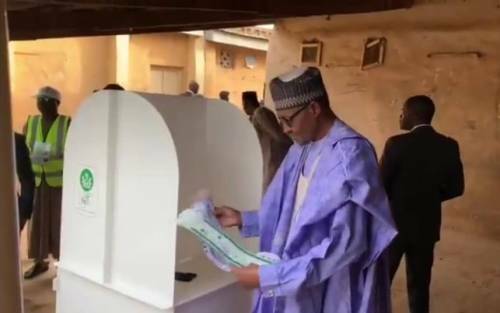 It is all expense paid trip as crossdresser, Bobrisky, took his personal makeup artist to Dubai. 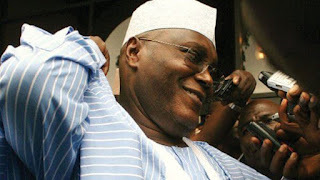 Report shows that Bobrisky's makeup artist has never left the shore of Nigeria and the crossdresser is doing him a big favour of giving him all expense paid trip to beautiful city of Dubai. 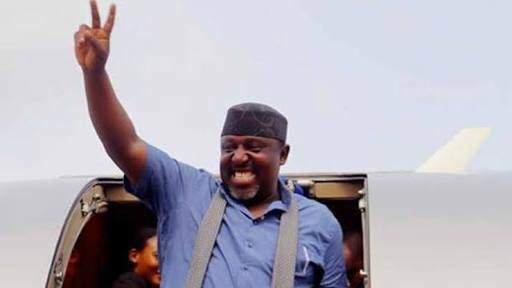 Governor of Imo State, Rochas Okorocha has been declared the winner of the Imo West senatorial election by the Independent National Electoral Commission (INEC). 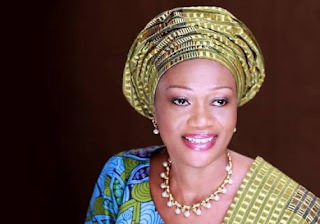 Senator Oluremi Tinubu, the wife of national leader of All Progressives Congress (APC), Bola Tinubu, has been declared as winner of the Lagos Central Senatorial District by the Independent National Electoral Commission (INEC). 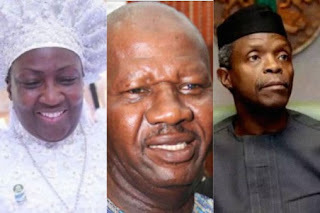 Reverend mother Esther Abimbola Ajayi has donated the sum of Ten Million Naira (N10,000,000) to support the ailing health of veteran nollywood actor, Babatunde Omidina popularly known as Baba Suwe. 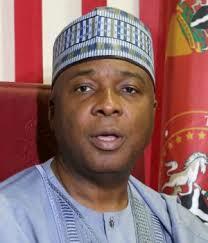 Some part of the money ismeant for his health operation and recuperation abroad. 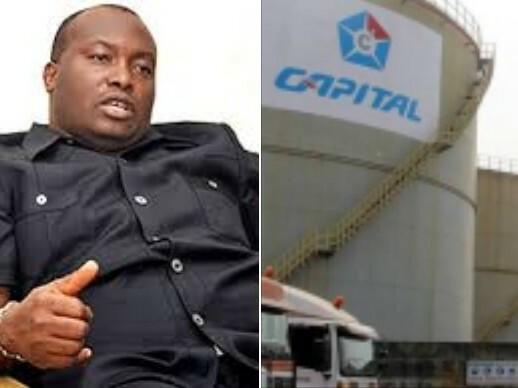 Chairman of Capital Oil, Ifeanyi Uba has won the Anambra South senatorial seat in the election held on Saturday, February 23, under the platform of the Young Progressives Party (YPP). 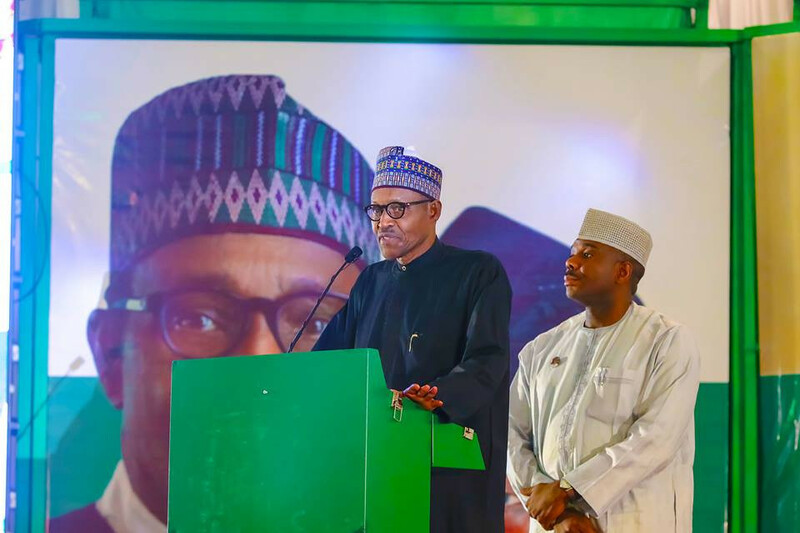 For 2Baba, pop royalty and standard bearer in the global "Afrobeats" movement, 2019 marks a milestone in the amazing career and Hypertek Digital, his label is pulling no punches in celebrating the achievements of the phenomenal artiste, entrepreneur and humanitarian. 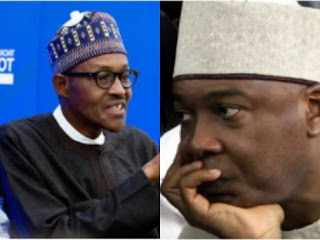 Yesterday was not a good day for the current Senate President, Bukola Saraki, as he lost Kwara Central Senatorial District election to All Progressives Congress (APC) candidate, Ibrahim Oloriegbe. 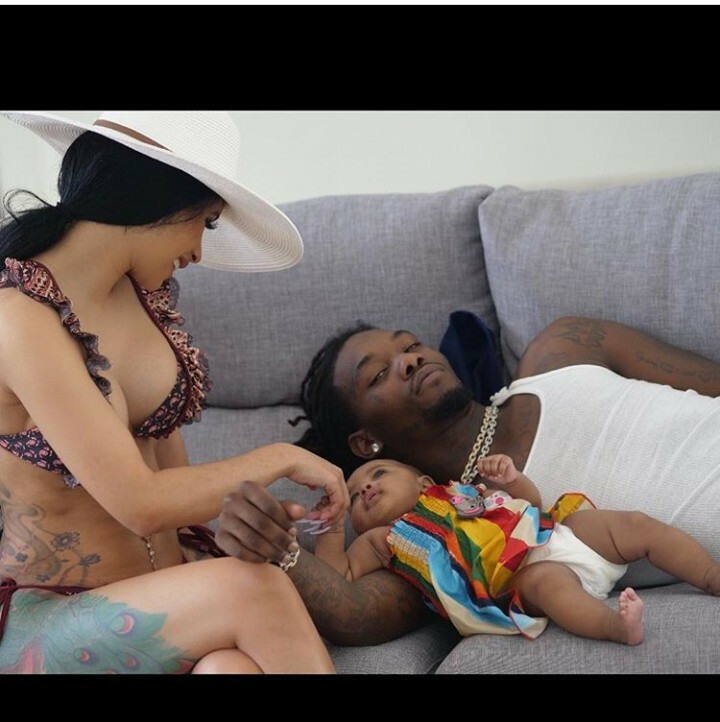 American rapper, Cardi B shared a throwback photo of her family vacationing shortly after Kulture Kiari was born. 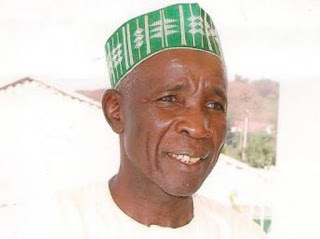 Unknown masked men has reportedly arrested a spokesman for the Peoples Democratic Party Campaign Council, Buba Galadima. This is according to Al Jazeerah. The spokesperson of PDP, Kola Ologbondiyan, also made this known via his twitter handle. 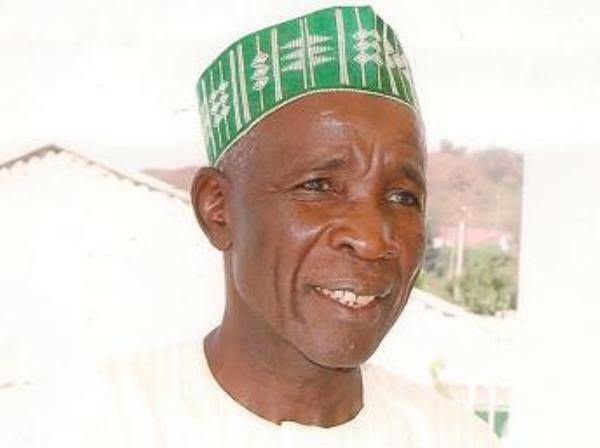 Ailing comic actor, Baba Suwe was taking to Lagos University Teaching Hospital (LUTH) few days ago for treatment.. 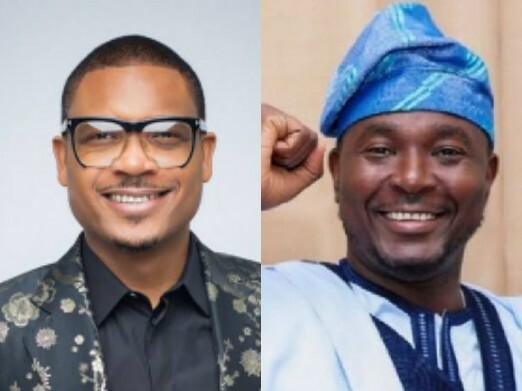 The actor's first son, Adesola Omidina, has written an open letter to Nigerians thanking them for coming to his father's aid. 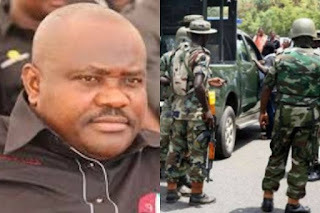 The Nigerian Army has come out to say that the claimed assassination attempt on the River state Governor, Nyesome Wike by soldiers from 6 Division, is a lie. 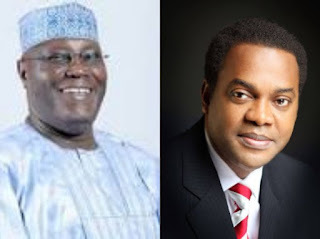 Peoples Democratic Party (PDP) presidential candidate, Atiku Abubakar has defeated the Social Democratic Party (SDP) presidential candidate and former governor of Cross River State, Donald Duke, at his polling unit in Ward 5, Unit 5 polling unit, Diamond Hill, Calabar, Cross Rivers state. 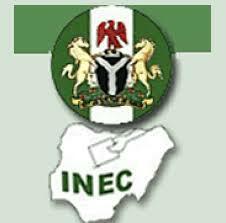 Two presiding officers have escaped with election results for their poling units in Katsina State, prompting the Independent National Electoral Commission (INEC). Atiku Abubakar, Peoples Democratic Party (PDP) Presidential candidate, has defeated the ruling All Progressives Congress (APC) candidate, president Buhari in the presidential election that took place in one of the polling units inside the presidential villa. 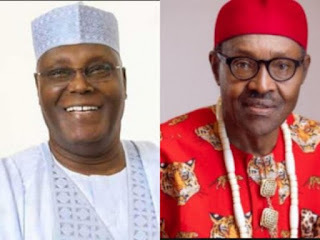 Atiku pulled a total of 84 votes to defeat President Buhari who pulled a total of 73 votes. 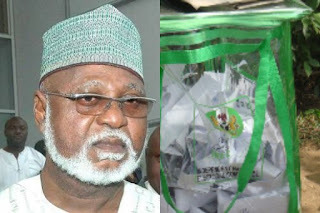 Former military Head of State,Abdulsalami, Abubakar, has urged all candidates to accept the outcome of the presidential election as Nigerians went to cast their vote on Saturday, February 23 for their presidential candidates of their choice. The Peoples Democratic Party (PDP) gubernatorial candidate in Lagos State, Jimi Agbaje, has cried out over the malfunctioning of card readers during voting at his polling unit in Apapa today, Saturday, February 23. At the Femi Okunnu polling unit, Lateef Jakande, Ikoyi where the APC governorship candidate in Lagos State, Babajide Sanwo-Olu, voted in the presidential poll, the Peoples Democratic Party (PDP) defeated the ruling All Progressives Congress (APC). 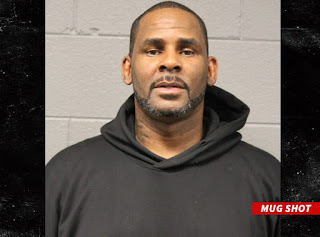 Report from LIB revealed that R.Kelly’s mugshot has been released after it was announced that the R&B singer is being held in custody after being charged with 10 counts of aggravated criminal sexual abuse. The incumbent President of Nigeria, Muhammadu Buhari has cast his vote in Daura, Katsina State and he said, "I will congratulate myself at the end of the election.". 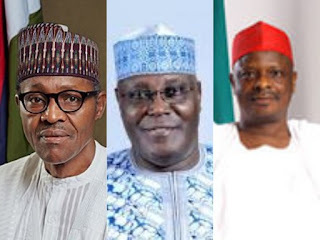 The senatorial candidate for Kogi Central senatorial district, Natasha Hadiza Akpoti, contesting on the platform of the Social Democratic Party (SDP), has accused Governor of Kogi State, Yahaya Bello, of preventing her from gaining access into the state ahead of the presidential and National Assembly elections rescheduled for today, Saturday, February 23, 2019.